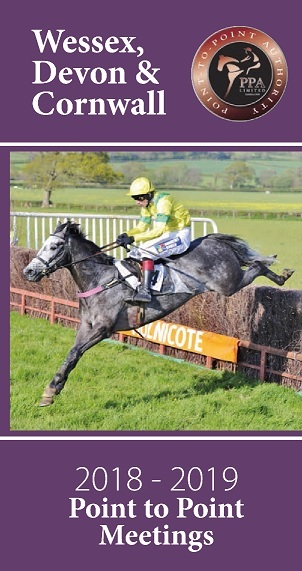 Tiverton Staghounds hosted the penultimate Point-to-Point meeting of the season last Sunday where a huge crowd gathered to enjoy some competitive racing at the stunning location of Bratton Down, Bratton Fleming. Only two contested the Intermediate race which was sponsored by Exmoor Hay & Straw, with Desert Roe under jockey Jack Tudor, and Give Us Peace ridden by Will Biddick. Desert Roe had been sent off the odds on favourite, and although his form stated he prefers some give in the ground he handled the going perfectly here. It started off as a tightly matched race with little to choose between the two even over the final fence, until Tudor kicked on his mount Desert Roe up the steep hill home, going onto win by nine lengths. Jack Tudor was the youngest jockey to win on the day at only 16 years of age, he works for his father Jonathan and it was his fifth win Pointing. He looks to be a jockey to follow in the future. The Best Western Tiverton Hotel-sponsored Restricted race had attracted three runners, with the other joint current leading Novice Lady rider Isabel Williams on the well fancied Thatchers Brook. Bolling Spark (Hayden Webb) and The Overflow ( Jake Bament) set the pace. Having made an effort to take the lead on the final circuit, it looked as if Thatchers Brook then lost pace, as did the The Overflow who came off the bridle, but it turned into a thrilling finish up the home hill, in which The Overflow for trainer Pippa Moorhouse and jockey Jake Bament rode out a good finish, to win by two lengths, and one back for the area. Isabel Williams and Alice Stevens remain joint leaders in the National Ladies Novice title and will surely be attending the final meeting this coming weekend. 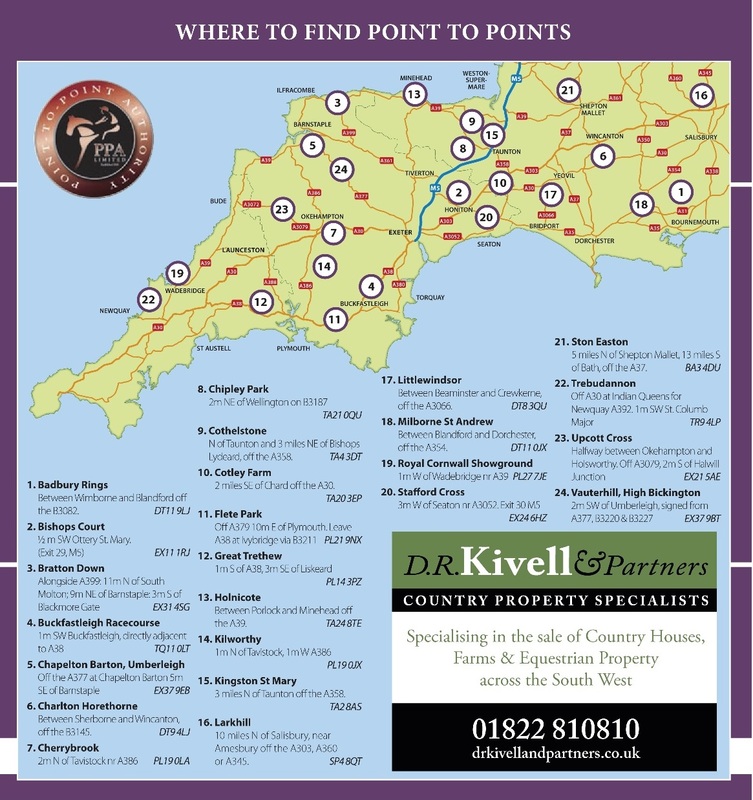 The final Point-to-Point of the season will be this coming Saturday 16th June at Umberleigh North Devon. Postcode EX37 9EB. First race is due off at 2pm.